Am feeling a bit overwhelmed, again, but hey, I survived the epic dog boarding weekend, and so did all the treasured guests of course. We put away quite a few pounds of peas and beans yesterday; it was a relatively quiet day and the picking was mostly relaxing. Our bean plants, especially one row that was close to the peas and other beans, and somewhat shaded, had deteriorated during some of our wet weather. There were many mildewed beans, and by the time I realized that there were any mature enough to pick, it was high time to pull each plant. The “ick factor” was huge in the bean row, and I was gagging as I sought out only the best, unmarred Royal Burgundy beans. I even took a damp hand towel with me so I could stay relatively clean while I picked. The next row over where the regular green beans grow is not nearly so icky. We ended up with buckets of good, clean food in probably what will be the “main” harvest of the bean and pea rows. Thank goodness I’m not trying to sell at the Farmer’s Markets: we used to plant more and harvest more, and it was a frantic time every Thursday and Friday. It was fun while it lasted and we actually sold hundreds of pounds of produce, but the “business” took me away from home and pushed me to the limit. Between that and the jam making business for which I made jam or jelly almost every night, I was getting spread too thin (even if I didn’t actually GET thin!). 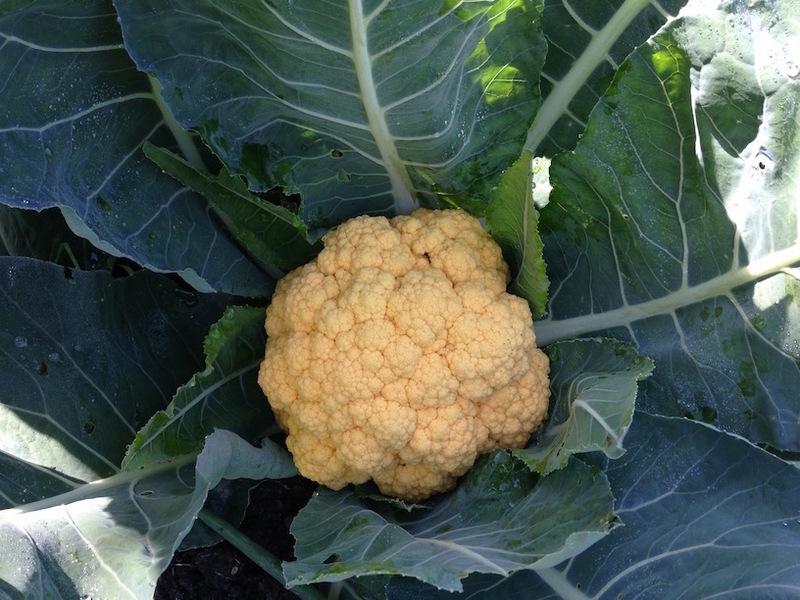 This is one of the most special vegetables we have grown: a cauliflower ‘Cheddar’. We had a problem with root maggots and lost several cauliflower plants, but we have enough. My appetite for cauliflower was somewhat spoiled by the discovery of one head that was rotten before I noticed it in the garden. It seemed like such a waste, but the bottom half was mushy, with a horrific smell that I couldn’t even believe came from just a rotting vegetable. I decided that the top half was also not salvageable, and I could not get that odour out of my nose and head all day. More garden gagging. Charlie arrived on Sunday afternoon. He is a friendly, gentle intact male, and I had a minor challenge deciding where to put him: we were still SO full at the Pet Hostel, and he couldn’t be beside the other intact male nor the rottweiler who may have been in heat. I was asked to groom this cute little girl dog if I had the time. I’m not avaricious, but I hate to turn down some honest dollars. I did find the time on Sunday night after supper, so I was clipping “Eleanor” at 8 pm! 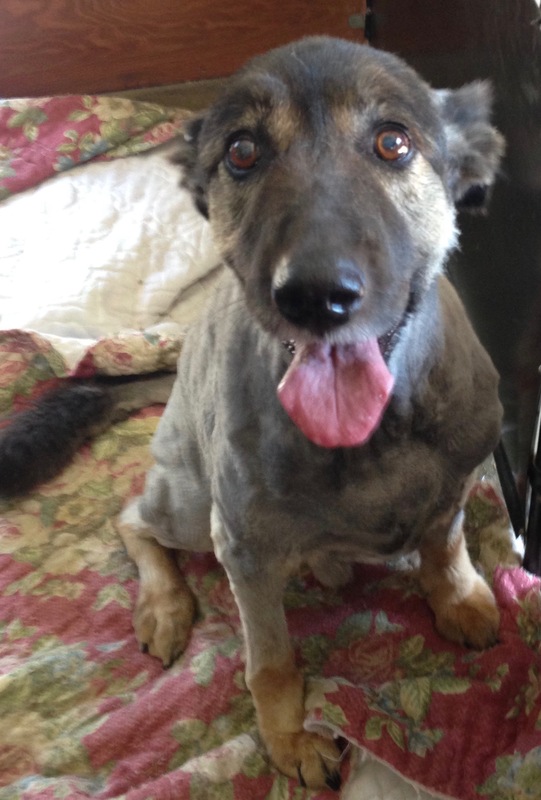 She was spotted in a pound while her family was vacationing in South Korea, and since those places are “total kill shelters”, she truly WAS rescued from a grave fate. Eleanor has some issues: she was quiet and humble unless another dog looked at or walked near her food, and she was furtive and wanting to bite for the spa treatment. Poor little thing, we can only imagine what she went through before being adopted. I got the clipping job done, and not very well, but I didn’t get bitten and the dog’s people were pleased. The wee thing relaxed immediately after all of this kind of handling was done, and warily allowed me to scratch behind her ears. So why did I entitle this post “Just start in any corner, again”? I am feeling like I have too much stuff and that corners of the house and property are hardly visited, much less tidied and cleaned. I have “to do” projects involving papers and knick knacks and photos that I inherited from Myrtle and Dad. It’s nobody’s fault but my own… I also have craft projects and supplies and all manner of things that I would not want my darling children to inherit and have to sort through, having been put through that onerous task myself. That said, I am going to go have a cup of coffee and wait for the next grooming pet to arrive. I just clipped nails on a small dog while the owner held her. 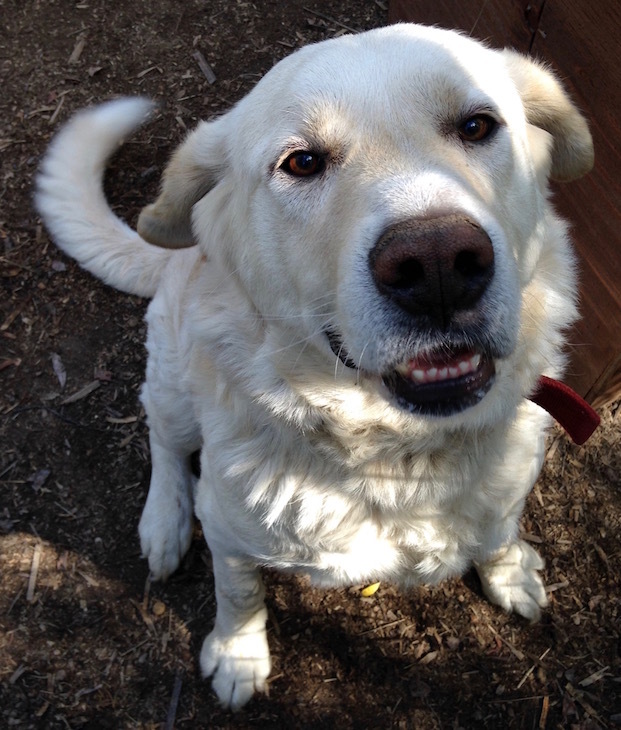 Rayna was like a tasmanian devil … all ferocity and energy and strength. 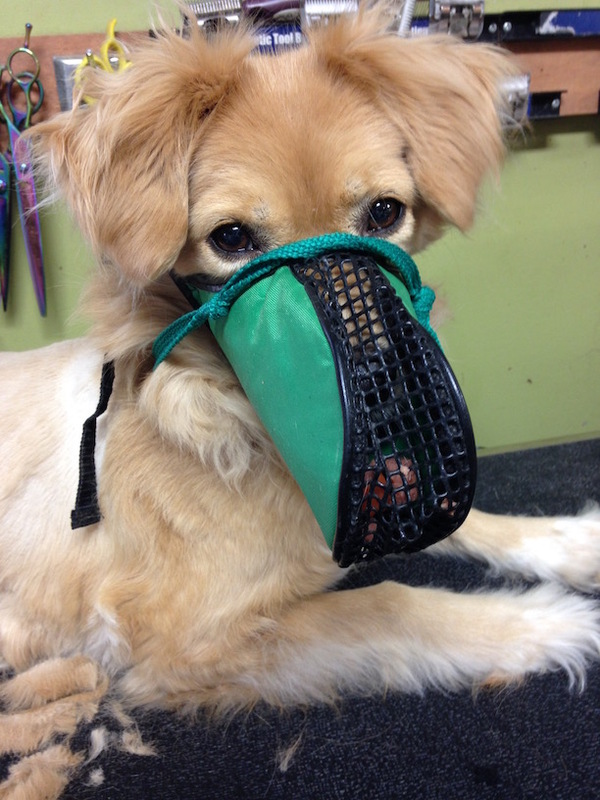 She was also muzzled and trying to bite the whole time and escape her owner’s arms, and the dog lost control of her bowels so we had extra cleanup as well. I felt I really earned my $12. Buddy was here for his regular spa morning. He is one of the most humble, respectful clients I have. Smokey likes him also. Then it was time to call Bud the horse in for his siesta time. That is really lock-up so that he cannot overeat and get ill. I reward him for coming in, sometimes, with treats, but they’re healthy snacks. Today has been fairly routine. Wait. What? I don’t really know “routine”, although the horse has a routine and the dogs definitely need a schedule, and feedings at roughly consistent times. Most days I think, “How the *f* am I going to catch up?”, but I know from experience that things fall into place, harvesting gets accomplished, and we manage. I got the beans finished today! The last of the peas can wait. Carrots, potatoes, beets, onions, leeks, cabbages, brussels sprouts and even chard can wait a bit. People keep trickling in for garlic … we’ve sold more than a hundred pounds and there’s plenty left. I have to get back to cleaning it, so it’s pretty and people want to buy more. It’s a beautiful, healthful product to offer to our friends and the public. There was not much dog grooming lined up for the day … a golden retriever’s toenails, and “the whole nine yards” for Odie. I didn’t take pictures. 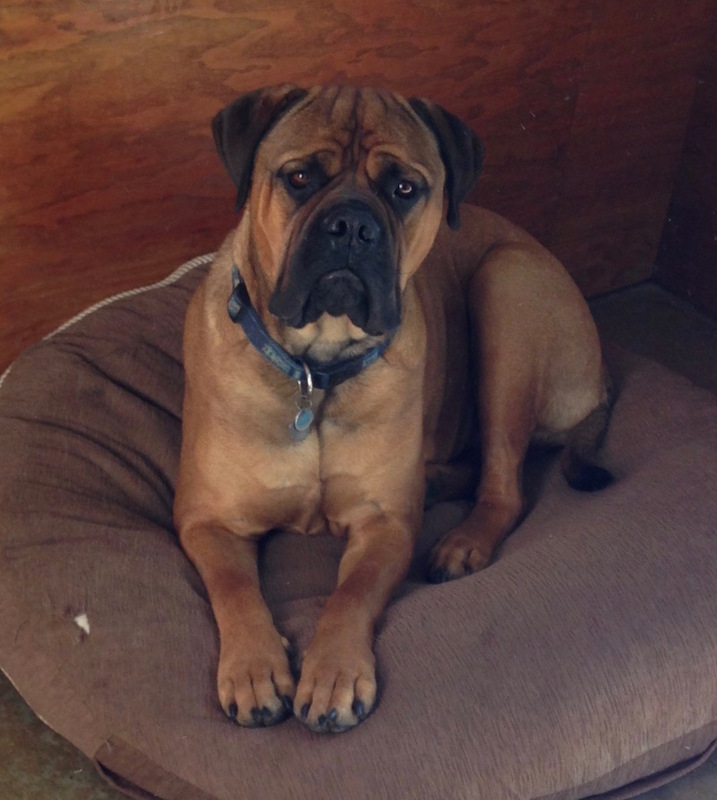 At the Pet Hostel, our guests are Ajax, Cedar, Smudge, Clemina & Wally, Charlie, Duke & his daughter Lady. Tomorrow Taffi, Loki, and a couple of others arrive. It will be a fairly busy weekend, but not as challenging as the last. Hey! I adopted a new “pet” today. 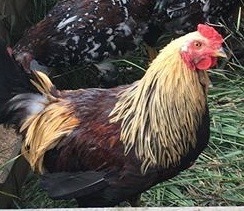 Thank goodness for Facebook, or I wouldn’t have known such a beautiful rooster was for sale. I wasn’t planning to supply a “man” for our girls, but suddenly I thought it a good idea. If he crows at dawn, I might have to start locking the flock in the chicken house until I get out the door at 7 am.. If that doesn’t work, the rooster might have to go back on Facebook or in the stew pot. I named him John. He’s an “Americauna” rooster, and I thought about famous americans/presidents for a moment. I will not call an animal after the american male who has been most prominent in the news lately; I named the bird after a good president. At least I had a process. Yesterday I sheared Beau again. 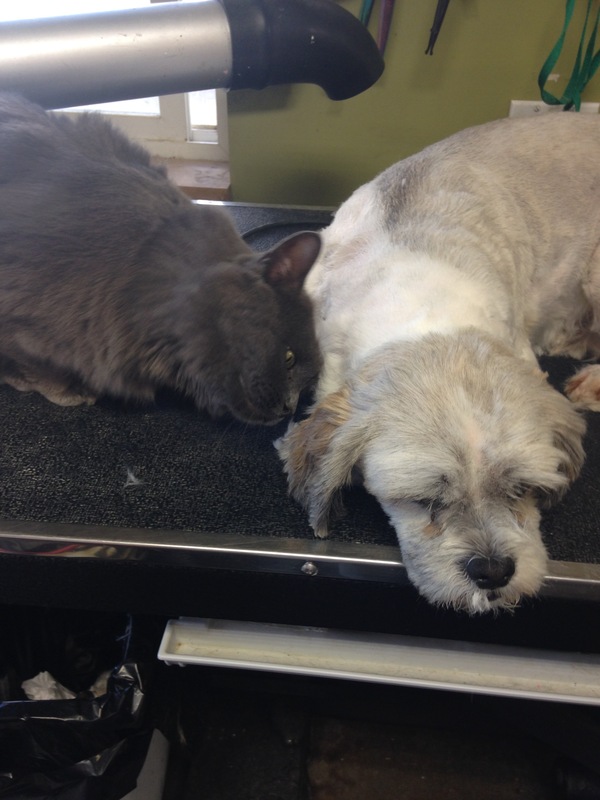 He is a senior dog with some complex health issues, and clipping him short keeps him a little more comfortable. It makes me want to weep to see the anxiety on Beau’s face. He is such a sweet soul. Ajax came back to see us this morning. Isn’t he the picture of stoicism? 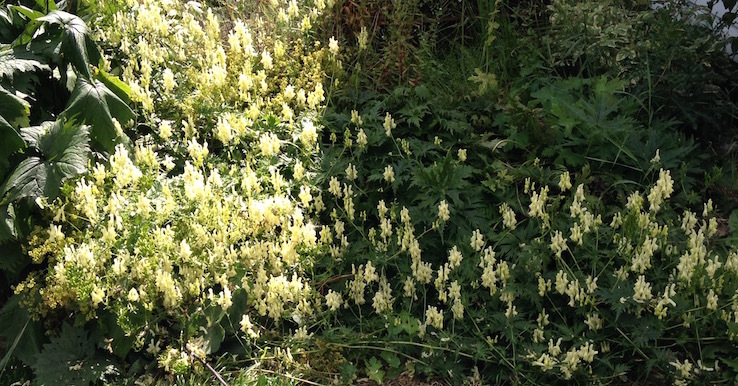 We still have to stop and smell the roses… or at least the yellow monkshood and the Annabelle Hydrangea. Thanks for reading my blog. I’ll meet you back here within a day or two! Tags: Ajax, Annabelle Hydrangea, Beau, Charlie, dog boarding, Eleanor, garden, garden produce, Pet Hostel, Rayna, yellow monkshood. Bookmark the permalink.